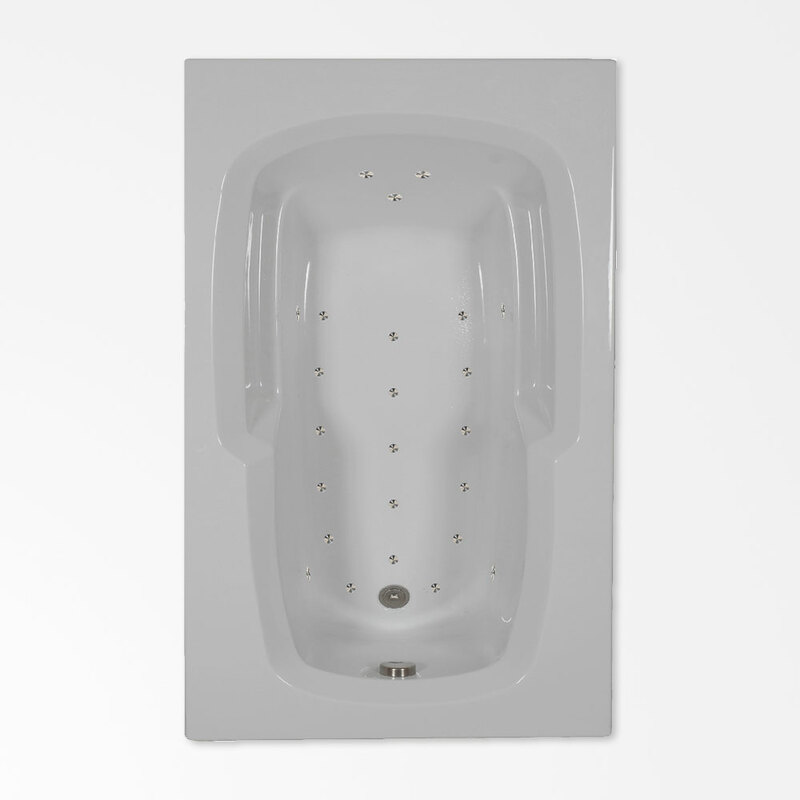 Step up your bathing experience with our slightly larger 60 x 36 air bath. Allow yourself to be cradled by this tub’s lumbar curve and contoured armrests. Enjoy the sensation of being surrounded by the caress of heated bubbles that ease muscle tension. Sit back. Relax. Enjoy the added luxury of more space. •	Shipping weight: 119 lbs.